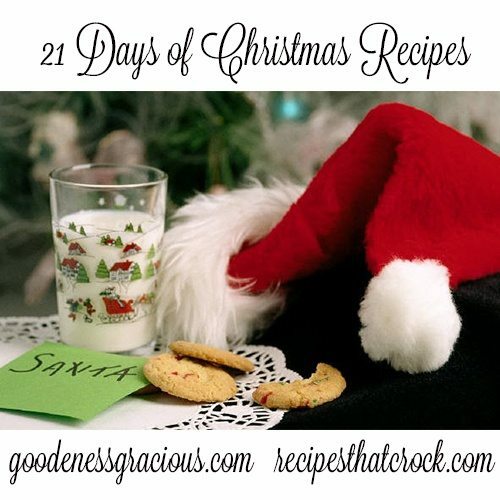 21 Days of Christmas Recipes - Recipes That Crock! This year we are partnering with Gooseberry Patch and our sister site GOODEnessGracious.com to bring you 21 Days of Christmas Recipes! Here are the links to the great recipes that have been shared so far either on our blogs or in the GOODEness Gracious Facebook Community or Recipes That Crock Facebook Community. And our GOODe friends at Gooseberry Patch have filled Santa’s bag with no less than 3 different cookbook giveaways in the next 21 days to help us celebrate!